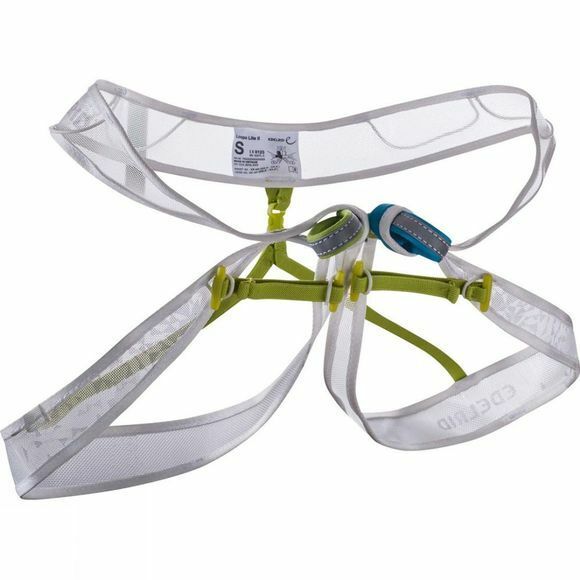 The Loopo II Lite Harness from Edelrid is an ultra-light harness for high alpine use and ski touring that fits in your pocket. Weighing just 80 g, this is one of the lightest harnesses available. It’s made of ultra-light, highstrength load-bearing Dyneema edge binding.